As I write this, Gizmodo shares an update that the latest version of the iPad could actually be called as the iPad HD (as opposed to iPad 3 or iPad 2S). I refresh my browser a number of times as I try to get all updates from the live blogs from gizmodo, wsj, cnet etc that are chronicling the event as it unfolds. OK, the iPad HD (or is it?) release is just a couple of minutes away and I know that by the time anyone reads this post, the new iPad and a host of the other products from the Apple Stable would be announced by Tim Cook. This is one of those ‘new product announcements’ from Apple in the run up to which, there had always been a near synchronous, peaceful and a calm prediction on what could this next big thing be, from a number of expected sources. Relative to the previous events at this famous Yerba Buena Center for Arts, this is one event regarding which there has been very little debate, argument, disagreement, flight of wild fantasies etc on the shape and form of the things to come. This is not to say that there is little excitement or any less eager sense of anticipation from the market, media and the consumers. This is one event that would be watched, dissected, analysed and evaluated on various counts – How would Tim Cook carry this off? How much more would the Apple Share price grow? To what greater degree would the traditional business models like books, TV, Cable be affected? Who are the new partners? And finally and more importantly for how much and when can I get my new iPad? But, this definitely would be remembered as a launch event that was devoid of the kind of buzz, noise and the crazy and sometimes hysterical levels of anticipation that normally precede the actual event. I have always believed that it was this eclectic and testosterone charged set of rumour mills, discussion forums, blog posts, twitter feeds, photo shopped predictions regarding the next big thing that had actually stoked the fanaticism that only kept growing for the brand exponentially – event after event. 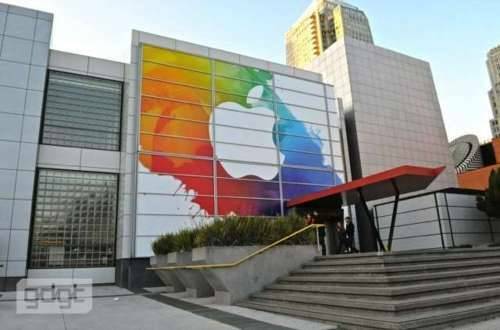 It was these word of mouth, PR, earned and owned media components that have helped grow and build the brand equity of Apple event after event – duly supported and sustained by the product quality of these products. Now, if these levels of ‘near stoicism’ and ‘no-brainer predictions’ prevail in the subsequent product launches too, I am afraid if the turbo charged growth engine – that Apple brand has been so far – would run out of its much needed fuel to get its share price touch $ 1000. Neither Apple as a brand or its product experiences are to be blamed for any of this dumbed down levels of mass hysterics. In fact all of these products are known to duly stand up to or often out pace the consumer expectations giving them sheer pleasure of usage. However there is one thing that is to be blamed. And that ironically is.. This post, is one of the truly fantastic and insightful commentaries on why Apple’s gospel of minimalism could actually constrain the brand in the long term. The iPad 2 is a minimalist in its design and so was the original iPad. So for any subsequent relaunches of the iPad, given that Apple has an all encompassing design ethic that spans across every single gadget, it would be a philistine to itself if it dramatically changes its fundamental design strokes that define and characterizes its products. Result: a set of design tweaks that are extremely conservative and again minimalistic in degree. Besides, given the prominence and the centrality that ‘the screen’ has (for good) in most Apple products, the actual real estate available for the designers to play around with is dramatically on the decline. The result: innovations that are mostly under the hood coupled with minimal physical changes that are often millimeters or centimeters in their definition. This had been the case with the iPhone 4S release too and could possibly repeat itself at different instances in the future. I am very eager to see the ‘real next generation product’ launches from a brand like Apple as opposed these incremental improvements it makes riding on the Moore’s Law. Bonus read: Speaking of minimalism and Apple, I couldn’t resist myself from posting this link. 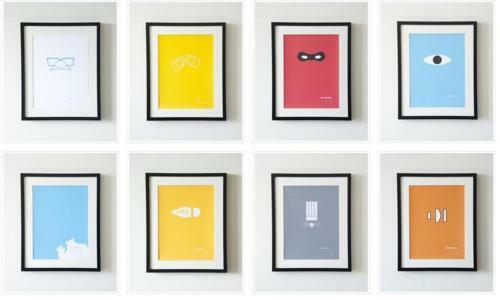 Check out the minimalist designs of the popular PIXAR Characters. Do read this nice piece of commentary here praising the genius of the designer Wonchan Lee. This entry was posted in Uncategorized and tagged Apple, Design, Minimalism, Pixar. Bookmark the permalink.